Do you hardly remember the last time you woke up feeling refreshed? Some say sleep is the most important time of the day. It helps our cells to regenerate, improves our memory and expands our lifespan. Unfortunately, pain, muscle tension, and joint pressure can easily get in the way of getting the refreshing hours your body needs to re-energize. The solution? Pillows! But not any kind. You need an hourglass-shaped Knee Pillow for your hip, spine, and legs to stay in perfect alignment (even when you turn on your other side during the night!). This allows you to get into a much healthier sleeping position and wake up without pain! Who would benefit from a Knee Pillow? Still not sure whether our Knee Pillow is the one for you? Let’s see. If you’re struggling to get a good night’s sleep, then our memory foam Knee Pillow is worth a (small) investment. Also, as a family business, we know how crucial it is to meet and exceed our customer’s expectations. That said, if you have any questions about our Knee Pillow that we haven’t already answered in the product pictures or the bullet points above, just shoot us a message, and we’ll answer any questions you have within 24 hours. What are you waiting for? Make up your mind and purchase the Knee Pillow that lasts a lifetime! KNEE PILLOW CASE - With its washable and removable case, the knee bolster pillow is a long-lasting companion to ensure that you get the sleep you deserve. Plus, thanks to the breathable materials the knee wedge pillow won't get warm during the night! 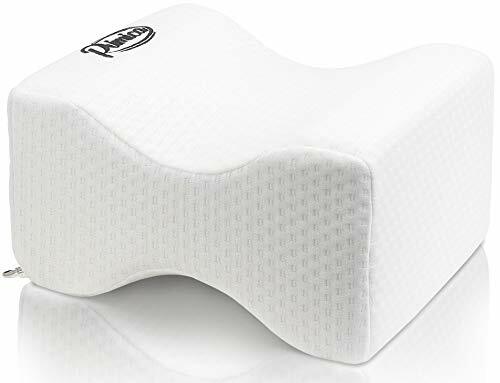 FOAM KNEE PILLOW LOVE - Who knew it would be so easy to relieve back pain? Simply position the under the knee pillow between your legs and go to sleep! Also, if you're not 100% happy with the knee rest pillow, message us, and we'll bring a smile back to your face! If you have any questions about this product by Primica, contact us by completing and submitting the form below. If you are looking for a specif part number, please include it with your message.